My first course of lectures as Ramtanu Lahiri Research Fellow of the Calcutta University in the history of Bengali Language and Literature, delivered in 1914, was published under the tile of Chaitanya and his Companions in 1917. The present volume contains my Fellowship lectures delivered in 1917. From 1914to 1919, I delivered six courses of such lectures; each course, complete in 12 lectures, forms a volume of size of this book. As most of these lectures have not yet been published and as there is no certainty about the time of their publication, I owe it to the public to refresh their memory about what they heard long ago, by mentioning the subjects treaded in them. 1. Chaitanya and his Companions, delivered in 1914. (a)	Glimpses of Bengal History from old Bengali Literature. (b)	Songs and Ballads of the Buddhistic period. (d)	Desertion of Nadia by Chaitanya. (e)	Humour in old Bengali poetry. 3. The Bengali Ramayanas. In these lectures, delivered in 1916, I tried to prove that some of the legends and stories about Rama, Ravana, and Hanumana, now found incorporated in the various versions of the Bengali Ramayanas by different author, are of a prehistoric origin, probably anterior to Valmiki's epic. It is evident that these Bengali authors did not follow too closely the foot-steps of Valmiki, but introduced indigenous elements in them contented in the Sanskrit epic. 4. 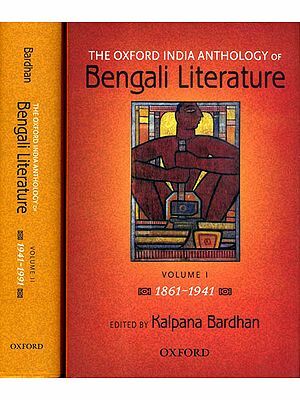 The Folk Literature of Bengal-delivered in 1917. 5. The forces that developed our early literature-delivered in 1918. 6. Chitahnya and his Age-1919. I have to offer a word of explanation for the publication of my fourth course of lectures delivered in 1917 before the preceding course of such lectures, delivered in 1915 and in 1916 respectively, have seen the light. An active research is going on in the field of old Bengali Literature and new materials are being made available to us every year. The history of our language and literature no longer presents a fossilized form, but by the powerful impetus given to it by Sir Ashutosh Mookerjee, it is fast inaviding "fresh fields and pastures new" and changing shapes. Some portions of my previous lectures have had to be revised and re-written in the right of the latest discoveries, Hence those lectures that are found ready at the moment are made over to the press while others have to be help up. In the present treatise I have for the first time brought to the notice of scholars considerable materials about Bengali folk-tales chiefly those current amongst the Mahomedans of the lower Gangetic valley. It has been a surprise to us to find that stories of Rupamala, Kanchanmala, Madhumala, Pushpamala, etc, are not only the heritage of Hindu children but also of their Moslem cousins who have been listening to these nursery, fairy tales recited o them by their and grand-mothers, form a very remote historical period which I have tried to prove to be much anterior to the Islamic concept. The Hindu and Buddhistic coverts who gave up their faith in the older religious did not forge their attachment to these folk-tales in which legends of Buddhist and Hindu gods are sometimes closely intermixed. The incantation and mantras used by Moslem Fakirs and Physicians for curing diseases and the hymns of Lakshmi- the harvest-goddess-recited by a class of Mahomedan mendicants-are full of reference to gods of the Hindu and Buddhistic pantheons, and I have tried to trace the continuity of this folklore and folk-wisdom current amongst Mahomedans, form a remote time when they had not yet accepted Islam but had been Buddhists or Hindus. These lectures on the Folk Literature of Bengal are by no touched the postal poetry and boatmen's songs with which the whole air rural Bengal is sill resonant-not her cities and towns but her background village, still lovely with the dark-blue foliage of mango-groves and rich in her summer bloom, where the fierce rays of materialistic civilization have not yet entered to dispel the charm of rural poetry open a vista showing the perspective of ages long gone by. If I find an opportunity I will deal with this fascinating subject in a future course of lectures. A further enquiry on the lines of these lectures made by me has brought to several very important facts in regard to the Bengali folk tales. There is a hint in this work that some of our old folk stories are interspersed with bits of poetical lines rendered in to prose, which have been evidently current amongst our women-folk from a remote antiquity. I have proved in another course of my lecture that some of old stories are so fully replete with these poetical bits, cleverly strung together and put in the midst of a prose style, that the work of the goddess of Parnessus line, as it were, hidden form our view, unit the scrutinizing eye of a scholar detects them. The language of these half-verse is generally very ancient and reminds one of the discovery made by Dr. E. W. Hopkins of the existence of Vedic Hymnology in the great epic of the Mahabharata. I can scarcely suppress feeling of joy that inspires me in my research work at the present moment. Hitherto I had felt myself alone in the task of writing the annals of the Bengali language and literature, though I do not imply by this any lack of regard for the work of some of my colleagues in the field who have in the midst of their multifarious and scholarly tasks, made important contributions to it from time. But a whole-hearted devotion to this cause was wanting in the young generation of Bengalees, and to-any this long felt want seems to removed by the daily growing number of those who are wishing to take up Bengali as a subject for the M. A. Examination and for by the enthusiasm displayed by these earnest students in the cause of their hitherto neglected literature. They appear to me to be heralds of a new age, that will, let us confidently hope, are long dawn on us. In the march towards this goal our confidently is accentuated by the fact that the man at the helm has a never-failing steady foresight and sees the vision of our future glory, as no one else in the country has the power of see. The boat is launched and the pilot will steer it on the ideal land, let us hope. I take this opportunity to thank Mr. W. R. Gourlay, M. A. C. I. E, I.C. S., Private Secretary to H. E. the Governor of Bengal, for written the Foreword, Mr. Gourlay has been in Bengal for more than 20 years and will known as a diligent students of the life and civilization of our people. In his address delivered at a meeting of the Indian section of the Royel Society of the Arts held in London on the 6th of March, 1919, he indicated the various stage of our national history and suggested a practical scheme of can up-to-date comprehensive history of Bengal with a scholarship and breadth of outlook that evoked the admiration of such eminent me as Sir S. Bayley, Mr. C. E. Buck -land, Mr. Skrime and Lord Carmichael. The appreciation of the admiration of the story of Malanchamala to accept my view expressed in pp, 44-47 will give the reader a glimpse of the characteristic sympathy and genuine goodness of the heart with which he has alaways tried to understand India and her people. I have to think Dr. G. Howells, Dr. H. Stephem and Dr. H. C. Mookerjee for revising some of the proofs of this book, Mr. A. C. Ghatak, Superintendents of the University Press, has also helped me in such matters- but I am sorry to say that there are still many printing mistakes in the book. This has been inevitable because I am not a good proof-reader my self and could not done from the beginning to the and. FOREWORD There are few people who have not been subjected to the command, "Tell me a story," and those who, on such occasions, find pleasure in trying to make children happy, rack their brains to find something new to tell. They desire that their story should contain nothing but thoughts full of goodwill and encouragement to follow good examples. In the telling of story it is nature to picture the details of the scene according to the story-teller's own experience. Such is the incentive from which the folktale is born. To these of us who came from the West, it comes as a pleasing surprise to find in the folktales of India scenes and incidents, which are familiar to us from our early reading of Grimm's Fairy Tales and Hans Anderson's Fairy Tale. This similarity early attracted the attention of scholars and there have been controversies as to the original sources of tales common to East and West: Sir William Jones and the early Sanskrit scholars who worked with him, found two collections of these tales so complete as to leave no further doubt that the origin was, as had been surmised in the East. This discovery made it clear that those tales, with which we are all so familiar, had their origin not later than the early days of the Christian era: and there were many who saw in the incidents and the teaching of the Lord Buddha and his disciples. For long it was supposed, therefore, that the tales had their origin in the ancient kingdom of Magadha and that they might have been composed by the followers of the Lord Buddha himself. More recently, however, the Jataka collection of the Buddhist stories was discovered and amongst the carvings on the railing round the Bharhut stups-scenes from these stories were recognised. As the carving dates form 250 to 200 B. C., the origin of the tales is now believed to be not later than the time when the Buddha lived about the 5th century, B. C., and it is recognized that the features which seemed to prove Buddhist origin are really alterations made to suit the Buddhist doctrtine. It is not material will come to right to enable us to trace the origin still further back, but who can say when these were first conceived? The attempts to trace the source of the tales have brought to light hidden knowledge. The history of the Indian people in these ancient days is but imperfectly known, but the tales are a mirror of the customs and the thoughts of the people and, as such, are of far greater value to us than the dates and the names of a few individuals-the dry bones of history. It needs but a glance at the picture of the Bharhut carvings in the book of Jataka stories edited by Francis and Thomas to enable us to picture the life of the people in those time-and from theses little carvings, we can create a mental picture of the incidents in the other tales; and the picture is no very like the scenes we see every day. Human nature change little, and the primitive emotions are depicted on men's faces now as they were then. In Indian there has been little change in the environment of village life for thousands of years and often little change in the fashion of the simple dress of the villager. In the West, on the other hand, he environment of to-day is so different from that of ages gone by that our pictures of folk tales have often grotesque appearance almost entirely absent in India. The monkey, the elephant, the fighting form ram of the Bharhut carving have in way changed, and their environment is the same. In these lectures, Mr. Dineshchandra Sen gives us an interesting account of the history of same of these gables and he the puts forward a fascinating suggestion that possibly the tales of the Middle Kingdom were carried by means of the ships which sailed from the coasts of Bengal to the parts to the Persian Gulf and that thus they travelled, with those who transported the merchandise, to far away ports of Europe-long before any translations of the Panchatantra or Hitopadesa or translations like our fables of Pilpai were know. In the following lectures, our attention is directed in particular to Bengal, and the examples given afford a delightful picture of village life in that Province. When I read in the first lecture the author's enthusiastic appreciation of Bengal folk tales, the lecture the thought crossed my mind that possibly the Rai Sahid's Patriotism had read the translation of the beautiful story of Malanchamala, I went back to the first lecture and I knew that what he said was true. Everyone who reads this Bengali folktale will endorse what he says. It is a tale of which a nation might well be proud: it has all the attributes of a beautiful lyric: it contains a conception of purity and love, which evince a high state of civilization. The rural scenes are full of a joy of life. One cannot but feel the fresh air of the morning when the King rides out to the mango grove: one shudders at the scene round the funeral pyre: the forest is gloomy in the darkness but fresh and smiling in the sunshine. Nothing could be more simple or charming than the account of the life in the cottage of the flower woman: I have never read anything which lead me to such an understanding of the sublimity of the conception of the Hindu wife, as I have obtained from the reading of the story can rest till he has reached the end. The teaching too is sublime. I hope Rai Sahib Dineshchandra Sen will be able to do a further service to literature by making a collection of Bengali folk tales. Such a collection would help the people of West to get nearer to the people of Bengal. There are so many barriers. Good will is often present, but good will must be supported by knowledge. It is easy to obtain some knowledge by studying the history and the literature of country and by reading novels such as those of Bankim Chandra, but here is a door that has been little more than pushed ajar by Lalbihari De, and form the evidence we have in these lectures, I feel sure the author could open it for us. Our childhood is spent under very different conditions of environment. When we read tales such as Malanchamala it brings us much nearer to understanding, and it we could only learn to know each other's childhood, there would be less anxiety regarding our understanding later on. I am grateful to the author for having asked me to write this introduction. I hope it may have the effect bringing the lecture to the notice of some who might not otherwise have been led to knowledge of the Folk Tales of Bengal. EDITOR'S NOTE Dinesh Chandra Sen (1866-1939) was a versatile in the truest sense of the term. He was the Principal architect of the Department of Bengali, Calcutta University. He was the first to have written the History of Bengali literature 'Bangabhasa O Sahitya' following an established methodology. He was an Academician, Researcher, eminent scholar and Critic. Over and above he was an able organizer. It was due to Sen's untiring effort that the folkloric tradition of the Calcutta University started. Dinesh Chandra Sen delivered Ramtanu Lahiri Fellowship lecture in 1917. Afterwards this was published in the book form entitled 'The Folk Literature of Bengal' in the year 1920. If one ventures to write a book entitled 'Folk Literature of Bengal', he will at first make an attempt to explain the world 'Folk', then he will try to focus on Folk literature. Afterwards he will proceed to make a distinction between folk literature and sophisticated literature. He will make the readers understands that Folklore is broadly divided into two categories namely Formalised Folklore and material Folklore, and Folk literature is under the domain of Formalised Folklore. The next part of the venture would be the presentations of classification of Bengali folk literature such as folk riddles, folk dramas, myths so on and so fourth. Obviously each category of Bengali Folk literature will be high lighted along with sufficient number of examples. His primary attempt will be to establish how rich folk literature of Bengal is besides, he may try make distinctions between proverbs and riddles, rhymes, various categories of proverbs, and riddles rhymes, folktales, songs etc. will also be presented. He will define each category, and discuss it. He is expected to throw light on the collections of Bengali folk literature which have already been made so far. Whether the collector has followed the established norm of collection, whether mention of sources of the collections has been made properly; over and above he is expected to analyse the collected materials with help of certain methodologies. Anthropological approach Comparative methodology, Linguistics approach, Structural methodology. At least in certain cases Archetype and Oikotype of selected texts will be detected. But when one goes through the book of Dinesh Chandra Sen entitled 'The Folk Literature of Bengal' he is disappointed as his expectations are not fulfilled by this book. 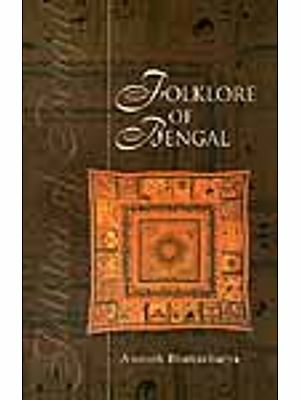 In the introduction of the book, Dinesh chandra rightly claimed, 'In the present treatise I have for the first time brought to the notice of scholars considerable materials about Bengali folktales chiefly those current amongst the Mahomedans of the lower Gangetic Valley'. The author has adopted Comparative methodology white he discusses our folktales. He has given emphasis on Historical-Geographical approach for the success of Comparative methodology. He has tried to trace out the early origin of folktales also the moral lessons which the offer. Sen has very interestingly thrown light how our folktales travelled to Europe. Here he has been influenced by Max Muller, the pioneer of Comparative methodology. Sen has highlighted on story telling. Sen has rightly noticed that it was profession of a class of Indians specially of women. The striking coincidences between the Bengali and European folktales have elaborately been discussed namely the story of faithful John Fakirchand, Queen Mainamati's pursuit of the Goda yama and Caridwen's pursuit of Gwin Bach, the story of Chandrahas and that of the giant with three hairs, the story of Hans in luck and of the trading fox, the stories of Sukhu Dukhu and Mother Holle, etc. Sen has made inference that Brahmin does not occupy important position in the folktales, what was the positions of merchants in the society before the Renaissance, the potions of a barber in the society-all these have discussed. As per his observation the folk literatures of a Hindus and the Buddhists before the Renaissance are almost same. His observations includes the incantations recited for curing snake bites, hymns in praise of the harvest goddess etc. he has used a large portion in discussing Muhammedan folk tales in Bengali. Here he has categorized three classes of stories. For all these Sen's book deserves admirations and high praise, of course in some respects we differ from his inferences. He has divined our folk tales into four categories namely Rupkathas, humorous tales, the Gitakathas and the Vratakathas. But now a days folktales are divided into more than four categories. Sen has not characters as depicted in the folktales. Gitakathas are practically Bengali ballads are one kind of folk songs. They do not come under the domain of folktales, though they present stories through songs. Sen has kept silent regarding myths. He has conducted comparative study but has never made any attempt to find out the archetype out of the disused versions. He has not mentioned about other compilations of folktales which were published except Dakshinaranjan Mitra Majumdar's and a few more. In spite of all these short comings, the book is a pioneering effort. It proves Sen's genuine interest in our folk tales. His indepth study makes us spellbound. The editor of the present edition acknowledges with great sincerity the co-operation rendered by a very young scholar. Sumahan Bandyopadhyay, Lecture, Department of Anthropology, Narasinha Dutta Collage, Howrah in bringing out this volume. The publisher of the present book deserves special gratitude for bringing out such a great tome afresh. weight of book 382 gms.